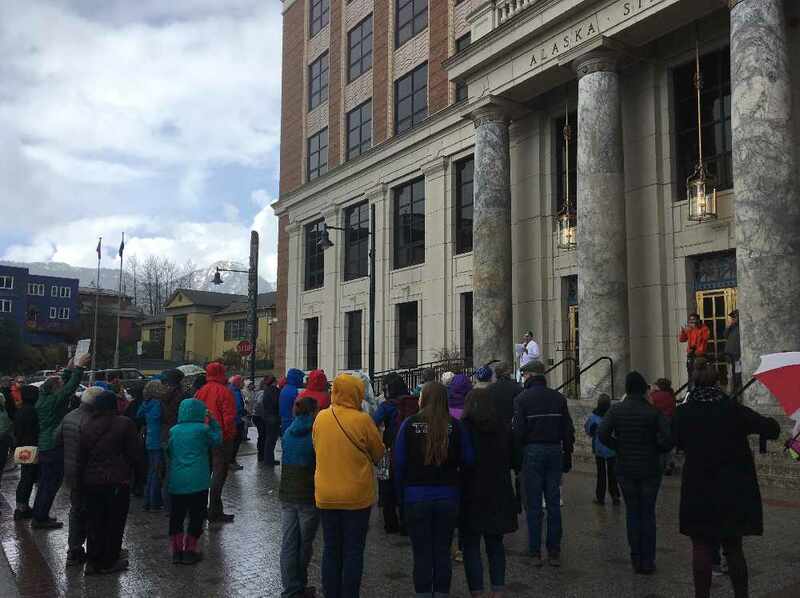 Juneau, AK (KINY) - National group organizes rally for science and education at the Alaska Capitol Building on Saturday. The March for Science organization hosted a rally for science and education in Alaska. Juneau representative Justin Parish was in support of the organization's message. He says, "Science and education are long term goals. If we don't value science we're in for a lot of pain and suffering, and the same goes for if we don't value education. This is a very valuable way to remind legislators what your priorities are, and I think the general public supports education a lot more than the legislature has." Theresa Soley was the Juneau liaison for the group and was on the steps of the Capitol with handouts that gave instructions for attendees on how to stay involved with the issue. For ways to get involved with supporting science and education, check out the following links provided by March for Science. Tell the Alaska state government to support improved science standards in schools. Ask the President to prioritize appointment of appropriately trained individuals into critical federal government science roles.